Do you waste time focusing on the wrong things when you prepare for IELTS? Today find out about 3 trivial time wasters that will bring down your IELTS score. We’ll also tell you exactly what to do instead so that you don’t sink your score and waste your time. When you are scared or confused about something you might try to hide. This can be deceiving because you could lie to yourself and tell yourself that you are preparing for IELTS but you’re not doing the important things that will get you your target score so you are WASTING YOUR TIME! You MUST spend your time focusing on things that will make a difference and will move your score from a 6 to a 7 or from a 7 to an 8. If you have a good study plan like the one in our course you can avoid this trap but even if you are in a good course it is easy to fall into this trap. Focusing on the serial comma. This is a small punctuation issue that is correct whether you use it or not. You should be focusing more on making sure you use capital letters and periods and that the examiner can read your handwriting easily. You need to focus on first-level punctuation issues and not deeper, more sophisticated punctuation issues. Worrying about the use of one tense versus another when both are correct. One student asked us about the best tense to use when you tell a story on the Speaking test. Our answer was that you could use both simple past or present tense in that case. Instead of asking questions like these, focus on your fundamental understanding of present simple, simple past, and present perfect. Work on the accuracy of your grammar and not your verb tense range. 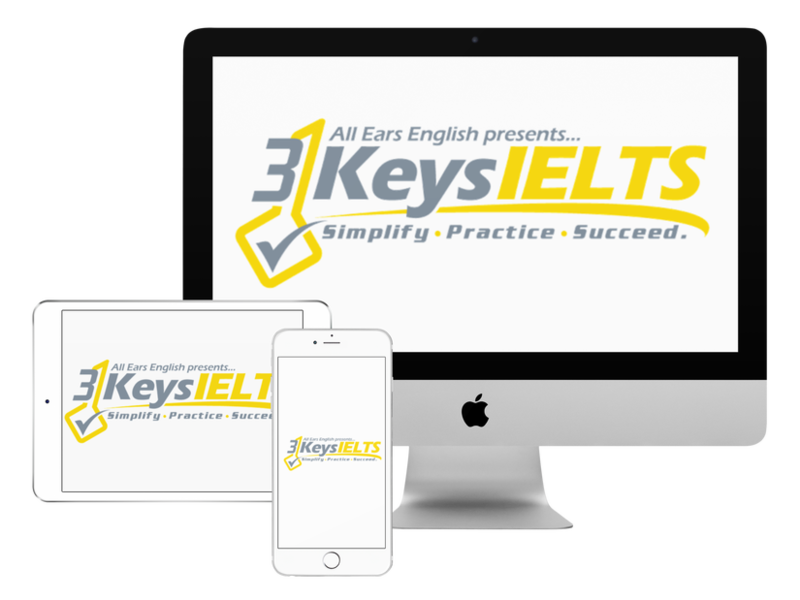 Click here to learn more about our grammar strategy for IELTS. Worrying about trivial preposition questions: One student asked us if “to my mind” or “in my mind” was correct. We say both! Something like this would not matter on your IELTS test. It will not break your score if you make a mistake like this and it won’t increase your score if you say it correctly. So why would you spend time worrying about it?? Instead, this student should spend her time learning the phrases we provide in our course to express your opinion in a native-like way. These phrases will force the examiner to think about giving you a 7. Leave us a comment and ask us a question below. Are you being honest with yourself about the way that you are preparing?